The heartthrob of Indian cricketer Virat Kohli is currently at the peak of his career and the retirement talk from his cricketing is far away. Yet the 'run machine' of India is not shy about talking about his ending days. Virat is just 28-year-old, tomorrow he will turn 29. The cricketer was born on 5 November 1988. Though Virat is very young at the age of 28, eventually a time will come when he will have to walk away from Indian cricket. Kohli is at the peak, it was recently revealed that his brand value is 1 million higher than ace footballer Lionel Messi. And there is a miles to go before he will take retirement but the cricketer gives a sneak peak about his retirement plan in the web talk-show ‘Breakfast With Champions’. “The motivation is just about winning. The day the passion ends, I will stop playing. I’ll never want to drag myself for more than my body can take”, The star batsman said. 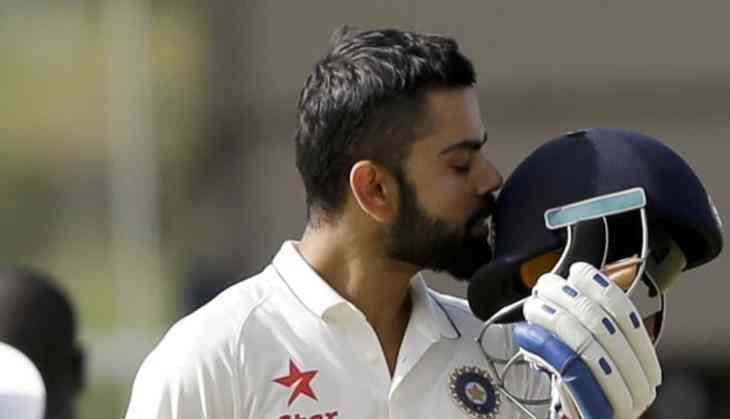 Virat Kohli will turn 29 tomorrow and the cricketer is scripting history with his bat. Virat Kohli had recently suppressed Ricky Pointing's record by becoming the second in the number of centuries in One Day International. The best part about Virat Kohli's cricket career is that his fitness is perfect. But the player had disclosed he will play for only 10 more years, even if he managed to stay fit. In his talk, the cricketer also added that he will stop playing cricket when he would be standing on the cricket ground without passion.